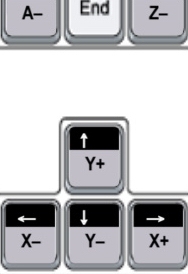 X, Y and Z axis selection. Slow jog rate, Feed rate and Spindle Speed change through MPG. 3 user macro control buttons. Work with any Mach3 Screen. X, Y, Z and A axis selection. Step jogging and continuous jogging. Feed rate and Spindle speed change. 2 user macro control buttons. X, Y, Z, and A axis selection. Step, Velocity and Continuous jogging. Relay control through E-Stop button (P1AE model with iMachIII EE Box). Step size and Screen page selection. Relay control through E-Stop button (P1A-SE model with iMachIII EE Box). Spindle, program Start, Pause, Stop and Rewind controls. Relay control through E-Stop button (P2-SE model with iMachIII EE Box). X, Y, Z, A, B, and C axis selection. 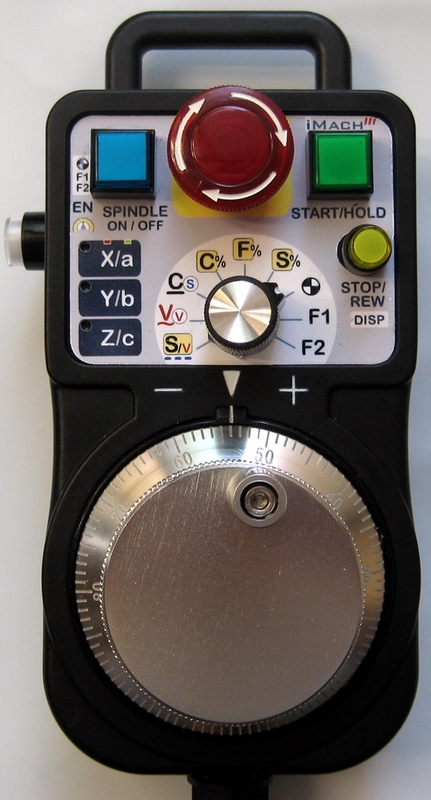 Separate control buttons for Spindle, program Start, Pause, Stop and Rewind. Flashing LEDs embedded in Spindle control, Program control and E-Stop button. MPG Step jogging, Velocity jogging and continuous jogging. Relay control through E-Stop button (P3E model with iMachIII EE Box). Relay control through E-Stop button (P4-SE model with iMachIII EE Box). 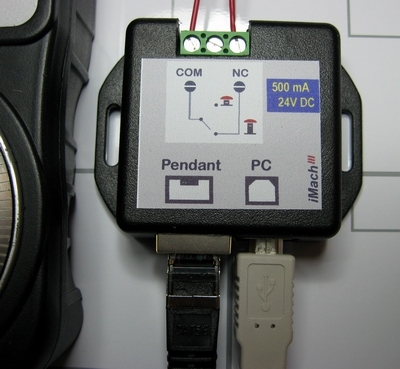 Connect the E-Stop button on the pendant to other E-Stop buttons in the system. Designed to withstand rough handling in harsh environment. Provides additional protection to your valuable pendant. For P2, P2-E, P3, P3-E, P5, or P5-E pendant. Self-adhesive magnetic plate. For P series pendant. Remove the paper liner and stick the adhesive side to the pendant back. Attach the pendant to any metal surface. Most operation buttons, DROs, and LEDs on first "Main" screen. Converting your keyboard to a CNC control panel with key top stickers. Covering most of iMach3 Screen buttons and Mach3 default hot key .